There are many methods to use to achieve a warm copper look. You can smoke it out slightly or significantly, have black on the eyelid transitions into copper, or place copper ever so delicately as a highlight on the inner tear duct. Any way you choose you cannot go wrong. This is my favorite way to represent a copper look: warm undertones with a shimmering copper eye lid. My inspiration was the bright orange-red leaves on the trees this time of year, usually spotted and faded into dark browns. Although I went for a soft, everyday mauve lip in this look, you could always make it bolder with a taupe, brown, or cranberry lip. As I sat down to create this look I had a hot mug of pumpkin spice tea beside me, Sleepless in Seattle on the television screen, and a pair of over-sized thick pink woolly socks on my feet. Autumn brings out the best in my homebody hibernation-like attitude, and this current season has been no exception. Between lighting candles for hours on end, baking homemade apple crisp, and giving every upcoming blog post a seasonal theme, I am officially in full Fall mode. Starting with the basics: I moisturize my face with Clinique Dramatically Different Moisturizing Lotion and my under eye area with ELF Eye Illuminating Cream. I prime my skin with Smashbox Photo Finish Foundation Primer in Light and my under eye area with ELF Hydrating Under Eye Primer. Using a Beauty Blender, I apply a mixture of Maybelline Matte and Poreless Fit Me Foundation in Soft Tan and Kat Von D Lock-It Tattoo Foundation in Light 29 to my entire face. To highlight and conceal I use NARS Radiant Creamy Concealer in Vanilla in "<" shape beneath my eyes, in the middle of my forehead, down the bridge of my nose, on my chin, and on my eye lids. 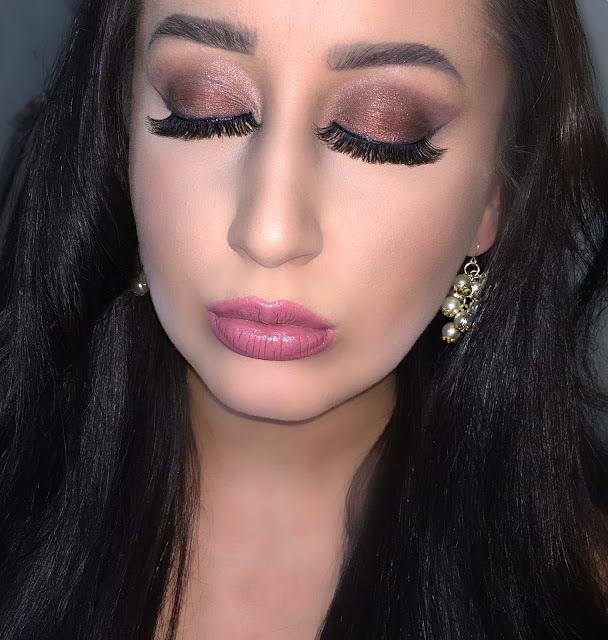 Using the same fan brush I did earlier, I then apply a mixture of the Jaclyn Hill by Becca Cosmetics Champagne Pop highlighter with the third shade of gold highlighter from the Carli Bybel by BH Cosmetics Palette to the tops of my checkbones, my forehead just above my brows, and the bridge of my nose. Lately I have been loving and using the BH Cometics Party Girl brush set to apply all my eye makeup. Using the Lorac Pro palette I take the color Mauve with a fluffy blending brush into the crease of my eye and start blending upward. This is going to be our transition shade. I then apply Taupe directly into my crease with a small tapered blending brush using windshield wiper motions. I reapply this color a couple times to build the color, making sure it blends into my transition shade but stays directly within the crease. I use the color Espresso, a dark chocolate brown, to define my outer corner. I apply this directly to the outer third of my eye lid in the shape of a sideways "<" to smoke out the look. While I make sure to concentrate the color only to this area, I take it up into my crease and down into my lower lash line ever so slightly so as to enhance the smokey effect. Using a flat shadow brush I take the color Garnet, a warm shimmer copper, and press it onto the center of my eye lid. Once the color is as vibrant as I want it to be, I then go back in with a blending brush and just make sure the crease and the outer V are evenly blended into the green and there are no harsh lines. I then go back in to the copper and add just a touch more color to the center of my lid. I take a small angled brush to draw on my eye liner using the shade Black. I get as close to the lash line as possible and press down on the lid to create a black line. I wing this out just a little when I reach the outer corner of my eye. I then use the color Light Bronze to highlight the inner tear duct with a fluffy blending brush, and a small flat shadow brush to highlight my brow bone just below my eyebrow. 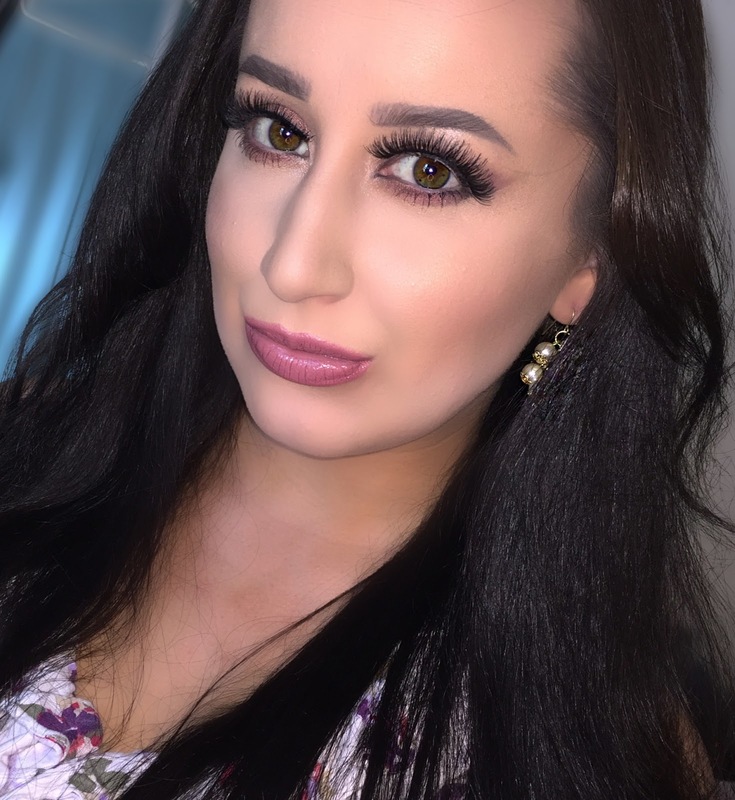 Finally, I take the Espresso color again from the Lorac palette and glide it below my bottom lash line using a small eye defining brush, making sure to blend into the outer corner of my eye to give the entire look a rounded out smokey eye. To add some dimension and soften any harshness I go over the Espresso color with the fifth color in the Jaclyn Hill Favorites Palette by Morphe Brushes, which is a soft burnt brown. I use Benefit Roller Lash Mascara on my upper and lower lashes, and then place Vegas Nay Lashes by Eylure London in Shining Star overtop using the Vegas Nay Waterproof Lash Glue. To compliment this warm eye look I decide on a soft mauve lip. I line my lips with NYX Slim Lip Pencil in Citrine and fill in with NYX Black Label Lipstick in Heiress. I love how you got this look! For me though I'd probably have to tone it down, since smoky eyes tends to look like a little too much on me. Also, that lip color is perf! This is such a pretty look, I love that lip combo on you! I love copper for Fall! Great post!